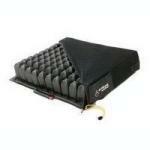 Enhancer Dry Flotation Cushion, 24" X 20"
Custom Cushion, Low Profile Cushion, 24"x 20"
OFFERS A LIGHTWEIGHT, EASY-TO-USE DESIGN THAT ADDRESSES BOTH PELVIC AND TRUNK POSITIONING. WITH THE ABILITY TO ADJUST THE HEIGHT AND AN ANGLE ADJUSTMENT OF UP TO 15-DEGREES. MEETS THE NEES OF CLIENTS AT A MINIMAL LOSS OF SEAT DEPTH. 16"
OFFERS A LIGHTWEIGHT, EASY-TO-USE DESIGN THAT ADDRESSES BOTH PELVIC AND TRUNK POSITIONING. WITH THE ABILITY TO ADJUST THE HEIGHT AND AN ANGLE ADJUSTMENT OF UP TO 15-DEGREES. MEETS THE NEEDS OF CLIENTS AT A MINIMAL LOSS OF SEAT DEPTH. 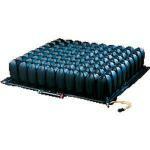 18"
ROHO HIGH PROFILE CUSHION 9X8 CELL, 16" X 15"
HIGH PROFILE DRY FLOTATION SYSTEM. EACH CUSHION IS ADJUSTABLE TO ACHIEVE A TRULY PERSONAL FIT. ARE THERAPEUTIC, STABLE, PORTABLE, LIGHTWEIGHT & EASY TO CLEAN. AIDS IN THE HEALING OF ISCHEMIC ULCERS. 8" X 9"
LOW PROFILE DRY FLOTATION SYSTEM. EACH CUSHION IS ADJUSTABLE TO ACHIEVE A TRULY PERSONAL FIT. ARE THERAPEUTIC, STABLE, PORTABLE, LIGHTWEIGHT & EASY TO CLEAN. AIDS IN THE HEALING OF ISCHEMIC ULCERS. 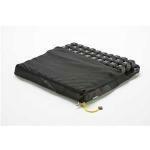 15" X 16"
HIGH PROFILE DRY FLOTATION SYSTEM. EACH CUSHION IS ADJUSTABLE TO ACHIEVE A TRULY PERSONAL FIT. ARE THERAPEUTIC, STABLE, PORTABLE, LIGHTWEIGHT & EASY TO CLEAN. AIDS IN THE HEALING OF ISCHEMIC ULCERS. 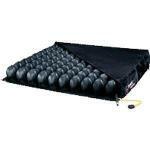 9" X 10"
LOW PROFILE DRY FLOTATION SYSTEM. EACH CUSHION IS ADJUSTABLE TO ACHIEVE A TRULY PERSONAL FIT. THERAPEUTIC, STABLE, PORTABLE, LIGHTWEIGHT AND EASY TO CLEAN. AIDS IN THE HEALING OF ISCHEMIC ULCERS. 16 3/4 X 18 1/2 X 2.